Whew! That was a lot of work. It ended up taking three years to complete that original challenge. Once I'd shared so much, I realized I wanted to keep going and we now have nearly 500 designs organized for you here in a growing gallery so they're easy to browse and enjoy. When I began this project, I knew how to quilt four free motion quilting designs: Stippling, McTavishing, Pebbling, and Paisley and you'll find tutorials for these as well as all the rest I've shared over the years linked up below. 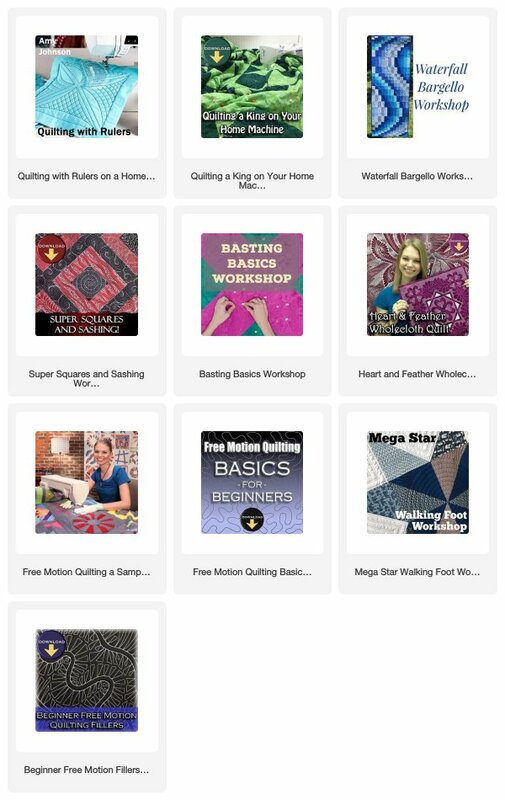 It's nice to enjoy the designs off the screen too, so make sure to check out the book 365 Free Motion Quilting Designs. This is a picture book of the first set of designs shared to the Free Motion Quilting Project and is the largest collection of quilting designs ever published. It's the perfect book to keep near your sewing machine when you can't think of the next design to quilt. I love sharing new quilting designs and teaching everyone in the world how to machine quilt, but I can't do this without your support. Click Here to check out our Quilt Shop.